It has been a busy busy busy few weeks for everyone here. I’m not going to go into the nitty gritty of things, but it involved work, family, babies and a lot of hair pulling. So…. 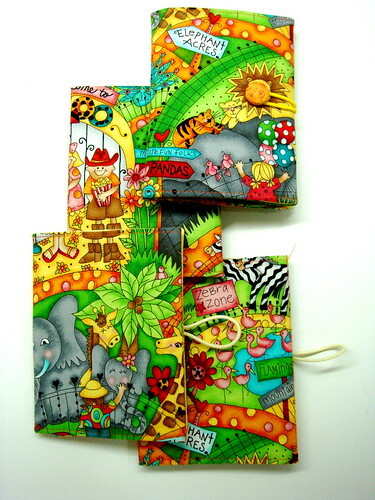 here’s a picture of a custom Crayon wallet order, made with the Zoo fabrics that I’ve been dying to turn into a wallet for a long long time. 1. You write a post telling ten things about yourself. 2. You choose ten more people to ‘tag’. 3. You let the people know that they have been ‘tagged’. 4. You link back to the person who tagged you. I chose your blog because I like your craftwork. I think ‘blogging’ is about making friends, travelling the world, learning from other people, and seeing things I never could except through your eyes. I hope you don’t mind, and I look forward to visiting you again!